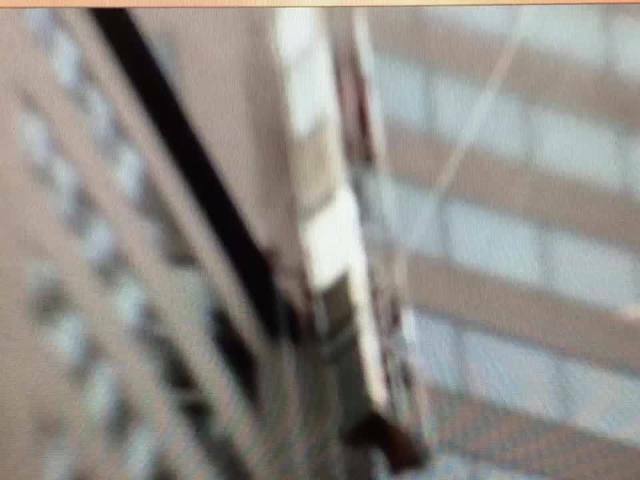 CINCINNATI -- A platform suspended from a building in downtown Cincinnati collapsed Tuesday, sending two workers scrambling onto a nearby rooftop and creating a lunchtime spectacle. 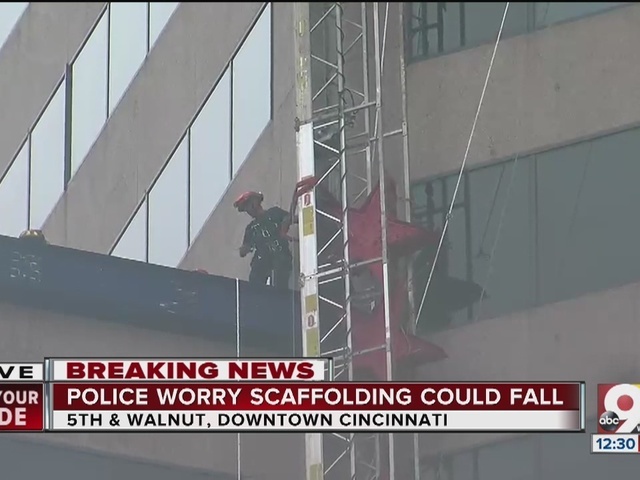 Cincinnati Fire Department personnel working to secure the piece of suspended scaffolding Tuesday afternoon, left dangling sideways off the 27-story, 365-foot building U.S. Bank Tower. U.S. Bank Tower is located across from Fountain Square, the city's main downtown plaza. The platform was dangling above the building's large, glass-covered atrium that houses Ingredients, a lunch restaurant popular with Downtown workers. Lt. Steve Saunders, Cincinnati police spokesman, said two people got themselves off the platform to safety. Cincinnati Fire Department spokeswoman Cathy Ritter said no one was on the unit as fire crews worked to secure it. 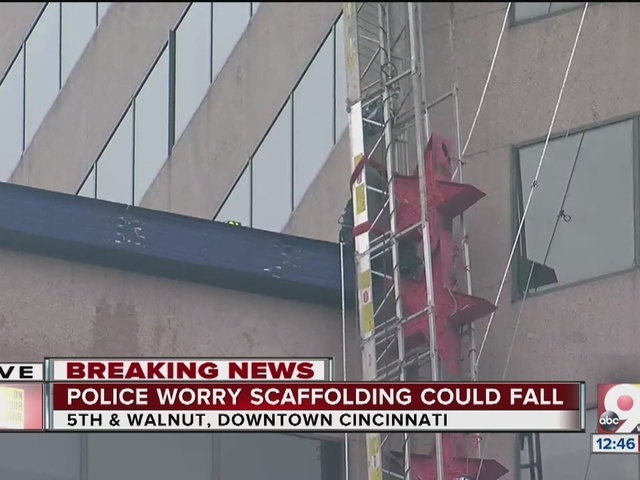 The suspended scaffolding is similar to the type used by window washers, but it appears the crew may have been working on the building's signage. 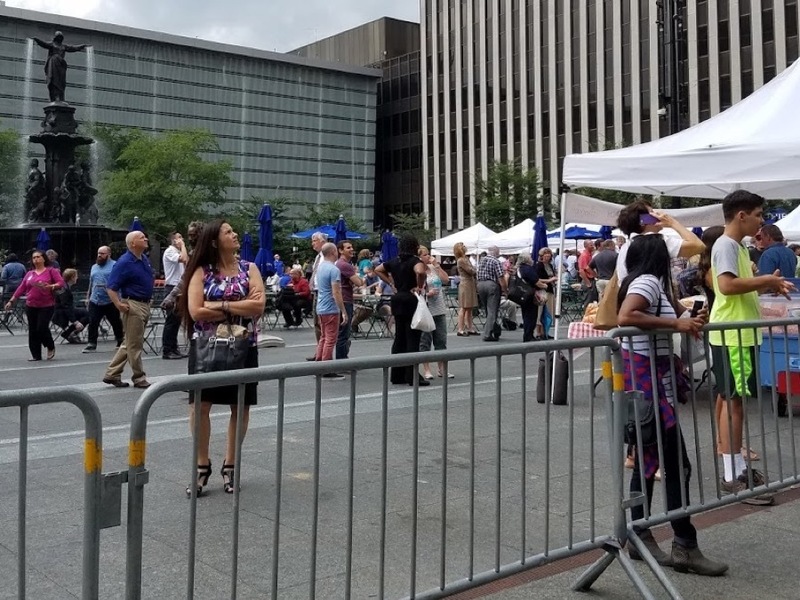 People watched from Fountain Square as fire personnel worked to secure a platform dangling sideways off U.S. Bank Tower. Photo by Algis Aukstuolis | E.W. Scripps Co.